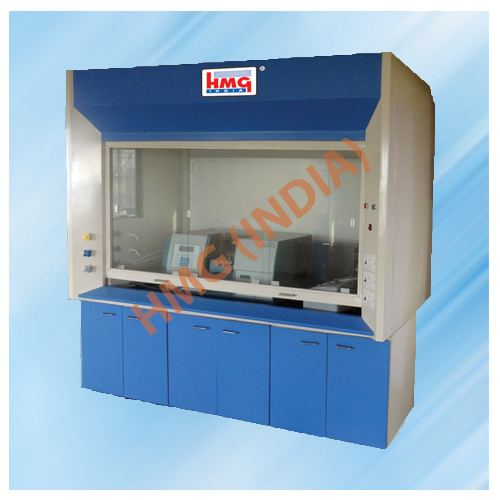 HMGÂ® Fume Chambers are designed to protect operators from eventually appearing to noxious matters and is single most IMPORTANT Unit in all laboratories. Its unique design is result of long development, utilizing, sound engineering & aerodynamic principles at all sash openings. 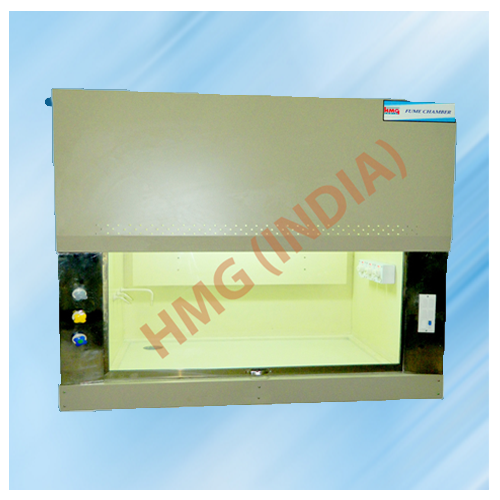 It performs better than conventional types and gives greater protection to the operators. Variety of MOC to suit to client's applications i.e. Metallic / Wooden / Plastic materials. * Double skin sandwich construction. A sash made of toughened / laminated safety glass of 5mm thick dully framed which is concealed counter balanced operated by Steel String / Cable. Baffle at inside rear designed suitably provided as per applications. 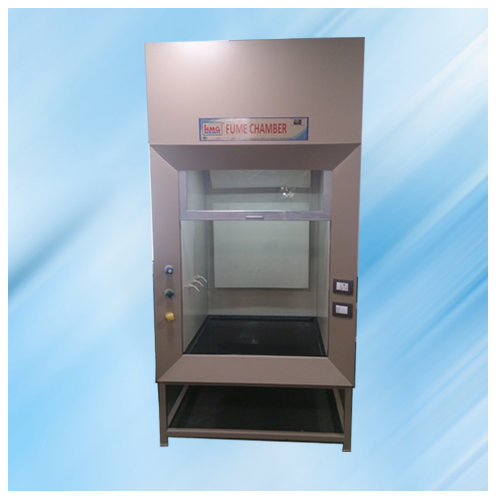 PVC / PP Table top, Small Size & suitable for hazardous materials / organic , solvents etc. Inside Lining of PPGL / PPFRP / S.STEEL (316 / 316L / 304) ORAC Cement sheet dully epoxy coated as acid / alkali / solvent resistance. Exhaust system comprising of centrifugal blower made of PPGL with FRP lining with dynamically balanced impeller of polypropylene (Directly / Pulley driven) driven by either Single Phase / Three Phase Standard make electric motors. 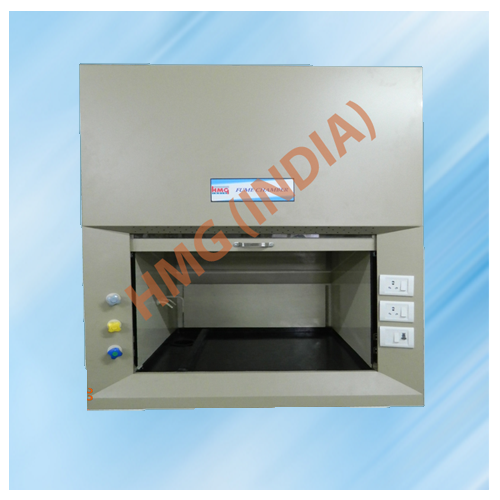 Exhaust blower is of suitable capacity as per Fume Chamber size etc. (*Optional).Due to continuous R & D and specifications may change. Pictures shown with Optional accessories.